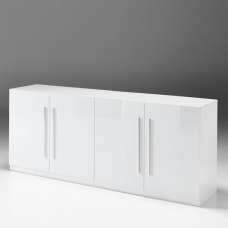 Caspa Sideboard In Matt White And Glass With 2 Doors, is modern on design and stylish with shelves that are finished in super matt white. 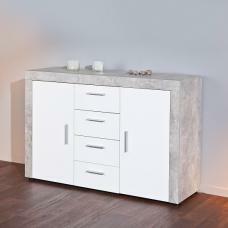 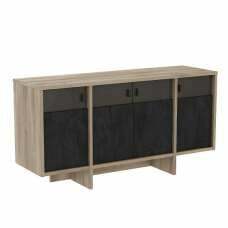 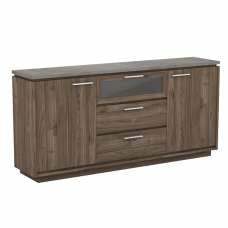 This contemporary sideboard has 3 ample sized drawers And 2 Doors finished with a minimal handle free finish and are soft closing. 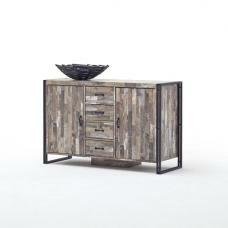 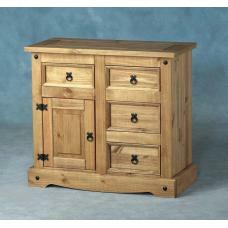 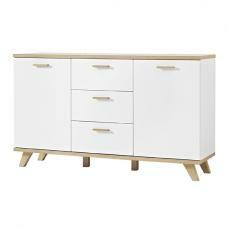 The sideboard has an open shelved section which is ideal for displaying accessories. 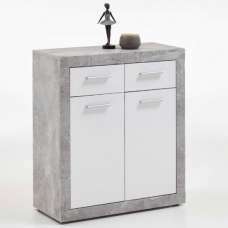 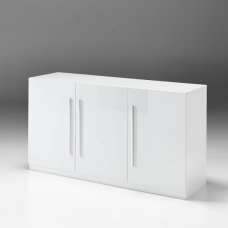 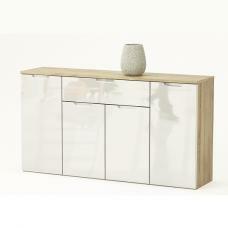 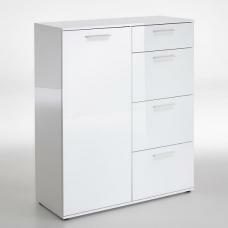 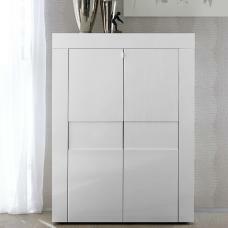 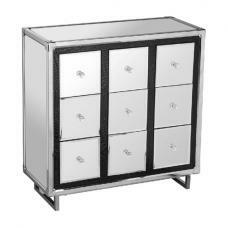 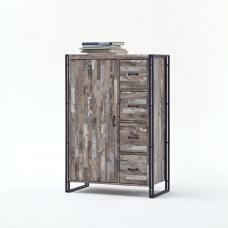 The sides of the sideboard are finished in transparent tempered glass and also provide the feet. 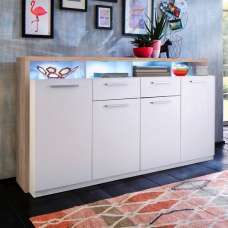 This sideboard comes with LED lighting which sits in the open shelved section. 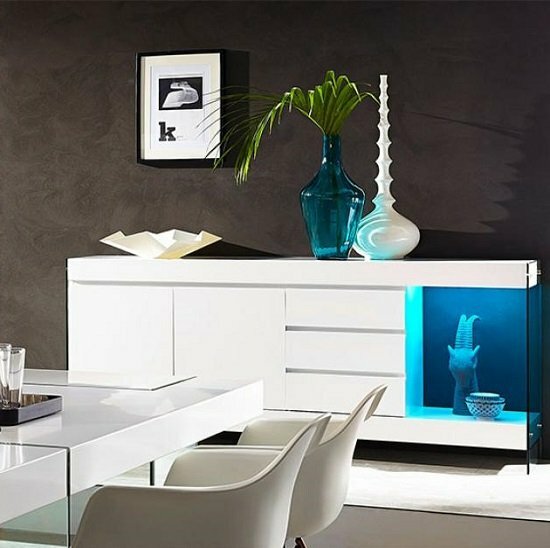 It is possible to change the colour tone of the lighting from colours red, pink, purple, blue, green and white. 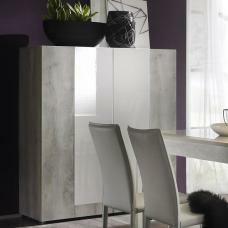 The lighting also comes with a remote control so you can change the lighting effect from pulsating to constant. 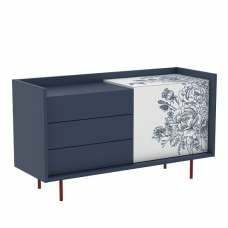 Please note that these lights require a connection to a mains power supply and will need a EU to UK plug adapter.